Late in the 1990s, the non-indigenous European green crab (Carcinus maenas) colonized the shorelines of eastern Prince Edward Island, in Atlantic Canada. Due to concerns of further spread into productive shellfish habitats, an annual survey was conducted between 2000 and 2013 to detect a potential range expansion of this species. We compiled and analyzed that data and document green crab expansion using records of annual occurrence and relative density. Surveys were conducted during the fall season of each year by deploying baited traps at 29 sites along the island’s two main shorelines (north and south shores). These sites were selected based on areas deemed more likely to be invaded by the green crab. Raw data per site and date was transformed to catch per unit effort (CPUE) to estimate relative abundances. Populations of this species showed an uneven westward expansion along the north and south shores. Expansion rates changed among years but, overall, crab abundance was higher and changes in abundance were faster along the south shore than the north shore of the island. The westward expansion continues until this day. Based on the information compiled we hypothesize that the dissimilarity in range expansion rate was related to the availability of suitable habitat to sustain large green crab populations along the south shore. We also discuss implications of this expansion for commercial shellfish and native coastal communities. 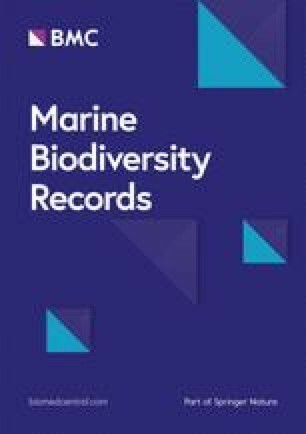 Over the past 250 years, a growing number of marine invasive species have become established in multiple coastal areas worldwide (Elton 1958; Carlton 1996; Heger et al. 2013). This has been, in part, attributed to a sharp increase in global shipping, the use of ballast water since early in the nineteenth century, and the ability of species with free-swimming larvae to invade numerous shorelines (Carlton 1996; Ruiz et al. 1997; Seebens et al. 2013). Many of these species are crustaceans and mollusks, which together comprise nearly half of known marine invaders, including some with wide distributions and pronounced ecological impacts (Grosholz and Ruiz 1996; Cohen and Carlton 1997; Bax et al. 2003; Gallardo et al. 2016). Unfortunately, most studies on invasive species have focused on their spread across oceans and continents, often dismissing expansion patterns taking place more locally inside the boundaries of particular regions (e.g. Gagnon and Boström 2016; Deidum and Sciberras 2016). Therefore, there is a need to fill these more finite and less geographically expansive data gaps, as processes occurring at local and regional scales are usually very relevant to the ecology and management of native species. The European green crab (Carcinus maenas) is a well-known global invader (Carlton and Cohen 2003; Klassen and Locke 2007; Compton et al. 2010). Native to Europe and North Africa, in the past two centuries this species has invaded coastal areas in South Africa (LeRoux et al. 1990), Australia (Zeidler 1978), South America, and eastern and western North American coasts (Cohen et al. 1995; Jamieson et al. 1998; Hidalgo et al. 2005), among others. Initial records of green crab in North America date back to 1817 in the New Jersey/New York area, with the species spreading northward to Maine by the early 1900’s, and to the Bay of Fundy over the following 50 years (Audet et al. 2003; Klassen and Locke 2007). Genetic analyses have also indicated that a separate introduction occurred along the eastern Scotian shelf in the 1980’s (Roman 2006; Blakeslee et al. 2010) which has resulted in a mixing of northern and southern European green crab genotypes. Evidence suggests that this mixing may have widened the species’ environmental tolerance locally, likely contributing to physiological and behavioural changes across subpopulations (Blakeslee et al. 2010, Rossong et al. 2012). It is also thought that this genetic mixing may have accelerated the species’ eastward spread along the Nova Scotian coast (Blakeslee et al. 2010) despite prevalent downstream current systems (Brickman 2014; Gharouni et al. 2017). Green crabs were first confirmed in Prince Edward Island (hereafter PEI) in 1997 at Georgetown, St. Mary’s Bay, and quickly established across the island’s eastern coast (Audet et al. 2003). Abundant nursery habitat and multiple anthropogenic vectors were expected to facilitate a further expansion for green crabs across PEI, and created concern among biologists and shellfish harvesters and aquaculturists. Green crabs are well known disruptors of eelgrass habitats (Malyshev and Quijón 2011; Garbary et al. 2014; Neckles 2015; Matheson et al. 2016) and predators of shellfish species in the region (e.g. Floyd and Williams 2004; Pickering and Quijón 2011; Pickering et al. 2017; Poirier et al. 2017) and elsewhere (e.g. Grosholz et al. 2000; Palacios and Ferraro 2003; Murray et al. 2007). Hence, in 1999 the PEI government established an annual survey aimed at early detection of green crab range expansion. Given the design of these surveys (see details below) no particular sites were consistently and iteratively sampled, so the spatial scope of most samples remained limited to areas “likely to be invaded”. However, a compilation and analysis of full datasets is valuable (see Heger et al. 2013) and in this case allowed for a comprehensive description of green crab first occurrence records and density estimations over multiple sites (29) and years (2000–13). The goals of this study were two-fold: to document records of PEI green crab expansion, and to discuss spatial differences and potential effects on habitat, communities, and shellfish populations. Annual surveys of green crab densities were conducted in Prince Edward Island (Fig. 1) by the Department of Agriculture and Fisheries (hereafter DAF) between 2000 and 2013 (with the exception of 2011). Surveys were conducted at multiple sites, but site selection changed from year to year depending on previous sightings and the identification of areas deemed “likely” to be colonized by green crabs (i.e. sites with dense eelgrass beds or clam beds, or associated with other shellfish resources). In this “moving target” sampling strategy, sites where green crabs were known to be well established (eastern side of the island; Audet et al. 2003; McNiven et al. 2013; Poirier et al. 2016) were generally not sampled (i.e. priority was given to sites not yet invaded). Hence, records presented here are circumscribed to shorelines along the north shore and the south shore (including part of the western shore) of the island. For the purposes of this study, the north shore encompassed sites between East Point westward to North Cape (Fig. 2). Meanwhile, the south shore included sites from Wood Islands westward to Black Pond (Fig. 2). Due to some cases of very uneven sampling pressure, some survey sites were amalgamated to the nearest water-body so that estuaries in very close proximity to each other were combined. On the north shore these were (1) Brackley Bay and Covehead and (2) Port Hill and Bideford; on the south shore these were (1) Victoria and Tryon River and (2) Borden and Cape Traverse (Fig. 2). Records presented in this study are from 16 sampling sites along the north shore and 13 sites from the south shore. North shore sites (listed from the east) were North Lake (NoL), Naufrage (Nau), St. Peter’s Harbour (StP), Morell (Mor), Savage Harbour (Sav), Tracadie Bay (Tra), Brackley-Covehead (BrC), Rustico (Rus), New London Bay (New), Darnley (Dar), Malpeque Bay (Mal), Grand River (Gra), Port Hill-Bideford (PBi), Cascumpec Bay (Cas), Montrose (Mon), and Tignish (Tig). South shore sites (from the east) were Pinette (Pin), Vernon River (VeR), Charlottetown (Cha), Nine Mile Creek (Nin), West River (WeR), Desable (Des), Victoria-Tryon River (ViT), Borden-Cape Traverse (BoC), Bedeque Bay (Bed), Summerside (Sum), Egmont (Egm), Enmore (Enm), and Miminegash (Mim) (Fig. 2). All sites surveyed were shallow, estuarine waters with soft (muddy or sandy) sediments with some vegetation, usually eelgrass beds (Zostera marina) and saltmarshes. Surveys in each site were conducted with 2-16 wire mesh cylindrical traps (~61 × 38 cm) with a 5 cm catch opening (1 cm mesh) baited with frozen Atlantic mackerel (Scomber scrombus) or Atlantic herring (Clupea harengus). Traps were deployed for approximately 24 h and redeployed up to three consecutive days (depending on number of traps available) between August and November of each year, with a large majority of the deployments occurring in September and October (sampling effort per site and year is summarized in Table 1). Trap deployments were performed from a boat or directly from the shore in the shallow subtidal depending on location and accessibility. In general, traps were deployed at least 10-15 m apart from each other, attempting to cover as much area as possible particularly in bottoms rich in vegetation or known to have abundant shellfish (see Pickering et al. 2017; Poirier et al. 2017). The total number of traps deployed and the number of sites surveyed was slightly higher along the north shore. This difference was driven by prior (unconfirmed) sightings of the species and the higher number of mussel aquaculture operations along the PEI North shore (which at the time was presumed to increase the likelihood of expansion and establishment). All catch data records were converted from raw counts to CPUE or crabs trap-1d-1 to give standard estimates that for simplicity we refer to as “relative abundances” (e.g. Quijón and Snelgrove 2005). In 2000, green crabs were restricted to the eastern most site of the north shore (North Lake, Fig. 2). The presence of the species was not detected elsewhere on the north and south shores until 2007, when green crabs were collected in St. Peter’s Bay and a year later in Savage Harbour. Only after an additional 4–5 years green crabs were collected for the first time in sites located northwest up to Malpeque Bay (Tracadie Bay, Rustico, and New London Bay) (Fig. 2). No green crabs were detected in the westernmost sites of the north shore (Fig. 2). Along the south shore, green crabs have been present in Charlottetown and West River since 2000 (Fig. 2). In 2001, the species was detected in Victoria-Tryon River and in 2002 in Nine Mile Creek and Borden-Cape Traverse. In 2006, green crabs were detected in Summerside and by 2009, 2010, and 2012 the presence of green crabs had been confirmed from sites located as far west on the south shore as Egmont, Enmore and Miminegash, respectively (Fig. 2). Along the north shore (Fig. 3) before 2004, relative abundances >0.5 crabs trap-1d-1 were only found in North Lake. In all other sites, crab relative abundances were <0.5 crabs trap-1d-1 or zero. By 2007 and 2008, relative abundances <0.5 crabs trap-1d-1 were also measured in St. Peter’s Bay and Savage Harbour (Fig. 3). In addition to North Lake, high relative abundances (i.e. >1 crabs trap-1d-1) were only measured in Savage Harbour (2012–13) and New London Bay (2012). During the same 2 years, low relative abundances of green crabs (<0.5 crabs trap-1d-1) were also measured as far west as Malpeque Bay (Fig. 3). Along the south shore (Fig. 4), relative abundances >1 crab trap-1d-1 were more scattered over time and across sites, and were first estimated in Charlottetown in 2000–2001, and in 2004/5, at this site, Pinette and Victoria-Tryon River. Higher relative abundances (>2 crabs trap-1d-1) were estimated at this latter site in 2009–2010, and in Egmont and Bedeque in 2012 and 2013, respectively (Fig. 4). The records summarized here show a clear but uneven green crab expansion along PEI’s north and south shores. Between 2000 and 2007, green crabs spread from North Lake to St. Peter’s Bay, an expansion distance of ~50 km. Almost concurrently, by 2006 the species range had advanced along the south shore from Charlottetown to Summerside (~80 km), and subsequently reached Egmont (2009) and Enmore (2010), a near 130 km along-shore expansion, in 10 years. Average expansion rates along the south shore (~13 km yr.-1) almost doubled those measured in the north shore but fell within the broad range reported for green crabs elsewhere: < 2 km yr.-1 in Australia and Tasmania (Thresher et al. 2003), ~9 km yr.-1 and 8-18 km yr.-1 in northeastern USA and southern Canada (Glude 1955 and Gharouni et al. 2015) or >100 km yr.-1 in some areas of western North America (Behrens-Yamada et al. 2000). These temporal and spatial differences in expansion patterns are common in green crab and other invasive species (e.g. Grosholz et al. 2000; Thresher et al. 2003), and are likely related to multiple factors. The source or geographic origin of the invaders may play a role in the expansion of this species, as at least two genetically distinct green crab invasions have been documented in this region (Roman 2006; Blakeslee et al. 2010). The arrival and mixing of genotypes from populations originating from northern and southern Europe is believed to have facilitated the northern spread of green crab populations in Atlantic Canada. Moreover, this mix of populations may have modified some physiological and behavioural traits across subpopulations (Blakeslee et al. 2010, Rossong et al. 2012). For example, green crabs from areas most recently invaded (Newfoundland and Prince Edward Island) have been shown to be more aggressive and more successful in competitive trials against a native species than those from areas invaded several decades ago (e.g. New Brunswick and Nova Scotia; Rossong et al. 2012). However, the influence of the crab’s genetic make-up on the expansion rates within PEI remains considerably less clear until detailed local-scale genotypic studies are conducted. Green crabs have a large dispersal potential as a result of their fecundity (up to 185,000 eggs per brood) and relatively long larval life (up to 85 days). However, such strong dispersal potential is not reflected in the speed at which most green crab populations actually expand within a region (Thresher et al. 2003). The importance of larvae and larval behaviour during the invasion of a new region cannot be disregarded (Cohen and Carlton 1998; Daigle et al. 2016). However, secondary dispersal by benthic stages may be as important (Ruiz et al. 2011) during local-scale movements among neighboring water bodies. Juveniles and adults frequently hitchhike on recreational boats or fishing gear (Minchin 2007) and, in fact, hitchhiking by green crabs has been reported in the Gulf of St. Lawrence (Darbyson et al. 2009). Hitchhiking is likely facilitated by the short distance and frequent movement of gear between estuaries, as well as by the tolerance of green crabs to harsh conditions (e.g. desiccation) during their transfer between water bodies (Darbyson et al. 2009). The expansion of green crabs along the north and south shorelines of PEI has not been a gradual process and as our results show, has taken place at different rates. This irregular spread (see Behrens-Yamada et al. 2000) has been potentially driven by factors like currents, transfer of shellfish, shipping and touring traffic, population densities, habitat characteristics, or a combination of them. Currents seem an unlikely factor to explain north-south expansion differences: there are no prominent westward current systems around PEI and, on the contrary, prevalent circulation patterns move east along both shorelines (e.g. Koutitonsky and Bougden 1991; Chassé and Miller 2010; Brickman 2014). Touring boat traffic, shellfish aquaculture transfers and fisheries are intense along both shorelines, so it is unlikely that these vectors could have resulted in the large difference in expansion between the north and south shores. Some features of the habitat, however, seem considerably different. Hence, we hypothesize that the north-south dissimilarities in expansion rates are more likely related to the availability of habitats able to sustain growing populations of green crabs. As Grosholz and Ruiz (1996) proposed, the expansion success of invaders may be either facilitated or limited by the type of habitat they encounter while spreading. PEI’s south shore is abundant in eelgrass beds, salt marshes, higher tide amplitude and low wave energy (deposition) habitats suitable to sustain large crab populations and shellfish species to sustain them (Pingree and Griffiths 1980; Thiel and Dernedde 1994; Polte et al. 2005). In contrast, the north shore is exposed to higher wave energy with less tidal influence. Estuaries therein, such as St. Peter’s Bay, Savage Harbour, and Malpeque Bay, are protected, semi-enclosed bays. However, the exposed coastline between them is dominated by numerous sandy beaches (MacMillan et al. 2017), a type of habitat less suitable to sustain large numbers of green crabs (e.g. Lohrer and Whitlatch 1997) than the detritus-rich bottoms of the south shore. In addition, water surface temperatures are also 1-2 °C warmer on the south shore during certain times of the year (Chassé et al. 2014),which may favor a species with a life cycle well adapted to warm waters (Dawirs 1985). However, a cursory analysis of the relationship between historical temperatures and green crab CPUEs at six sampling sites (StP, Sav, Rus, Cha, ViT, and Egm) did not yield significant relationships (see Table 2). Regardless, we recommend that future surveys collect in situ temperature data in order to properly assess this potential effect. The original purpose of the surveys reported here was early detection, so they lacked the robustness required for an accurate modeling of range expansion. However, the data remains valuable considering their consistent trapping approach and their spatial and temporal scopes. While the calculation of CPUE provides a reasonable description of presence and density, uneven sampling pressure across sites and dates and widespread low densities limit the extrapolation of the information from of these surveys. For instance, the nature of the “absences” is difficult to fully confirm considering that “false zeros” are possible when sampling pressure is not particularly high (Martin et al. 2005). There was also a difference in sampling effort, with a slightly higher number of sites and traps deployed in the north shore. However, relative abundances were higher and expansion rates faster along the south shore, despite the lower sampling effort. We are also aware that baited traps are more effective at catching adults than juvenile stages, which might be present in higher proportion during the early stages of an invasion (see Tummon Flynn et al. 2015). However, we remain confident on the patterns described here, as alternative sources of information, including sightings and surveys conducted for other purposes in selected areas and times (e.g. Pickering and Quijón 2011; Tummon Flynn et al. 2015; Poirier et al. 2017) are all consistent with the records presented here. By 2013, the green crab range included a considerable portion of the island, with only one large semi-enclosed waterbody not yet invaded at the northwest of the island (Cascumpec Bay). Subsequent observations and unconfirmed reports of juvenile green crabs near Northport Harbour at the mouth of Cascumpec Bay (A. McInnis pers. comm.) suggest that by 2016 this species had reached this system. For green crabs and other potentially harmful invasive species, preventing introductions is the preferred strategy for control (Leung et al. 2002, Keller et al. 2007). However, in cases where prevention is not possible, as seems to be the case here, rapid mitigation measures to control and contain the species are critical to reduce negative impacts. Given the risk associated to the most recent invasions, we suggest that further studies focus on determining habitat factors that drive the local rate of increase in green crab populations to help identify which systems are more likely to experience these sudden increases. With the rapid expansion of green crabs, there are also questions about other (native) crustaceans that could potentially delay, interfere, or be displaced by green crabs. Atlantic rock crabs (Cancer irroratus), mud crabs (Dyspanopeus sayi), and American lobsters (Homarus americanus), have all been suggested as species likely to interact with expanding green crab populations (e.g. Gehrels et al. 2016). The evidence for interactions between rock crabs and green crabs is still inconclusive, with studies suggesting indirect, potentially negative relationships between them (Gregory and Quijón 2011; Gehrels et al. 2016) and others showing little to no interaction (Bélair and Miron 2009). In contrast, surveys and experimental data suggest more clear negative interactions (predation) between green crabs and the smaller mud crab (Gehrels et al. 2016). Green crabs have been also shown to be detrimental to juvenile lobsters by altering some of their behavioural patterns (Williams et al. 2009; Rossong et al. 2011). None of these native species has been shown to be a substantial predator of green crabs. Furthermore, the genetic make-up (Roman 2006; Blakeslee et al. 2010) and the consequent aggressiveness of these green crab populations (see Rossong et al. 2012) should not be ignored. As they continue to expand into northwestern PEI estuaries, potential impacts upon native crustaceans should be assessed and monitored. Our study shows that the rate of expansion of green crabs has been greater on the south than on the north shore of PEI, and the abundance of rich suitable habitats is a plausible explanation for at least some of this difference. This hypothesis implies that faster range expansion prompted by availability of suitable habitat would make mitigation strategies difficult. Northwest systems like Cascumpec Bay and Malpeque Bay, where we believe green crabs have recently arrived, possess large amounts of shellfish and suitable habitat for this species to grow (Poirier et al. 2017). Therefore, future efforts at mitigation, as well as research, should focus on these recently invaded areas in order to properly maintain their ecological and economic integrity and function. For areas already invaded, the development of options such as a directed fishery (e.g., Poirier et al. 2016) may address some of the issues discussed here. Concentrated fishing pressure on areas heavily invaded may also contribute to parallel efforts to hold or delay the further expansion of green crabs. We thank Neil MacNair, Mark MacLeod, and the PEI Department of Agriculture and Fisheries for facilitating original survey records. We are also grateful of Thomas Landry (Department of Fisheries and oceans), Jeff Davidson, Mary McNiven and Spencer Greenwood (Atlantic Veterinary College) in addition to two anonymous reviewers for their comments on previous versions of this manuscript. We also thank our funding partners, Innovation PEI, NSERC, and the PEI Shellfish Association. Our gratitude also goes to the Department of Fisheries and Oceans (Moncton) for the support offered to LAP during the preparation of this manuscript. LAP conducted the data handling and synthesis. LAP, APR, JD, SST and PAQ participated on the analysis of temporal and spatial trends. All the authors read and approved the manuscript.